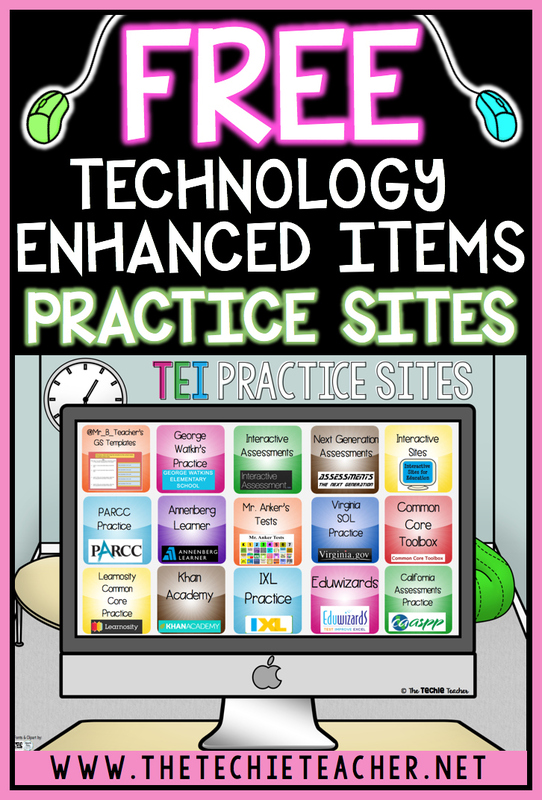 Free Technology Enhanced Items (TEI) Practice Sites | The Techie Teacher® . Exposing students as early as possible to these types of questions is important, not just for conquering testing. We need to model how questions that arise in our everyday world do not always require ONE answer. Sometimes we find multiple answers that are correct to everyday problems! Often times answers come in many different forms. Many TEI questions mirror this philosophy and if students do not correctly choose ALL of the correct answers or arrange them appropriately, then the question asking for multiple answers is marked entirely wrong. That can be hard for a little one to understand. Therefore, exposure is KEY. Recently I was asked for a list of practice sites that would help prepare 3rd-5th grade Chromebook users for these testing items. So I compiled a list of THE BEST 15 websites (with the help of our Tech with Us Facebook Community) and I wanted to share it with you. These websites are FREE and do not require a login. Therefore, send this link home with students for extra practice! 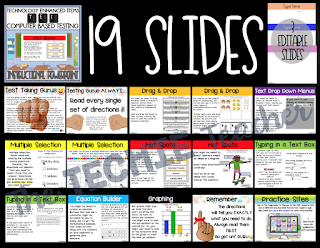 Click on the image below to take you to the FREE download that will automatically launch a Google Slides presentation slide with the links. PLEASE let me know if you know of any other websites that you think should be added or swapped out. I'm always looking for THE BEST. 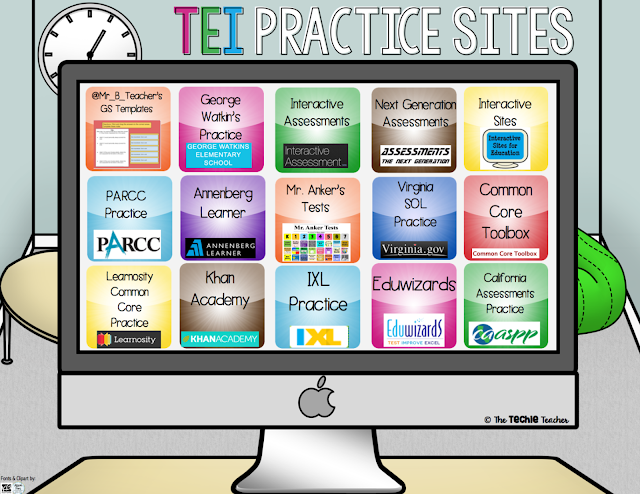 This is an awesome resource - thanks so much!! I'm not having any luck with the last link to California Assessments Practice - anyone else having an issue? Thank you for letting me know, Michelle! They changed the link on me :) I have updated the file with the new link. Enjoy! I also can't get the Learnocity site to work - anyone else having that issue? Ahh! They changed that one on me too! I just linked in the new url. Please continue to keep us updated if you find any others. Thanks so much! Hi Julie! Thanks for including Edcite on your list! I wanted to share an initiative that we are doing during testing season that is free for all teachers. 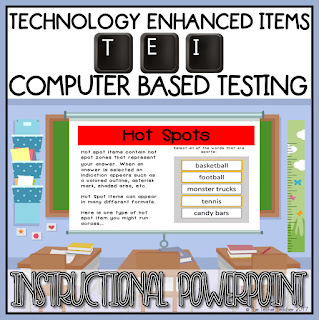 We have digitized many state released assessments with TEI's so teachers can send them to students and get data by state standard on how students are performing. Feel free to share this resource with others and if you have any feedback on how it could be improved, let me know!